When our oldest son was a little boy he pushed a red plastic motorcycle around and around the backyard. My sweet little boy has traded his little toy in for a real dirt bike. He is now a rough and tumble preteen who is way too cool for a kiddie birthday party. 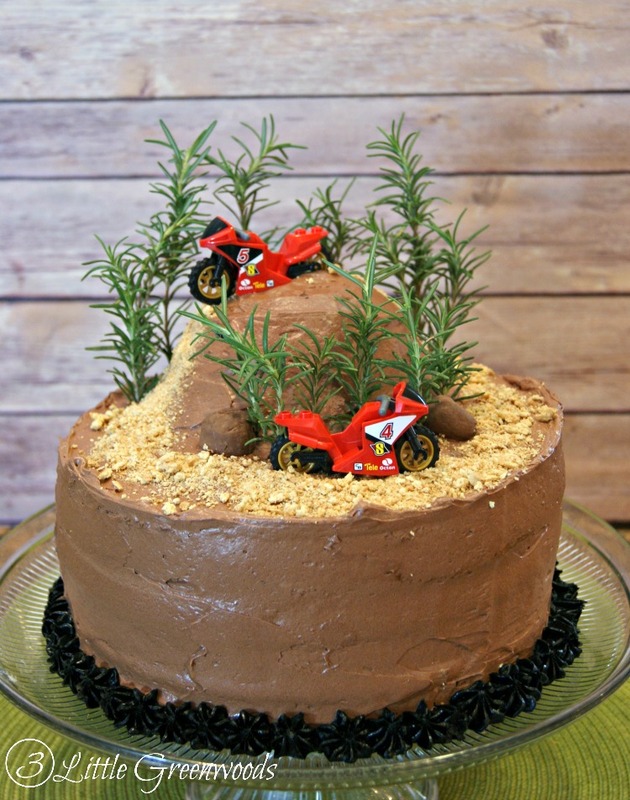 So when he requested a super cool birthday party I started searching for dirt bike birthday party ideas and came up with this DIY Dirt Bike Birthday Cake. This post may contain affiliate links marked with an asterisk. Click here for my full disclosure policy. 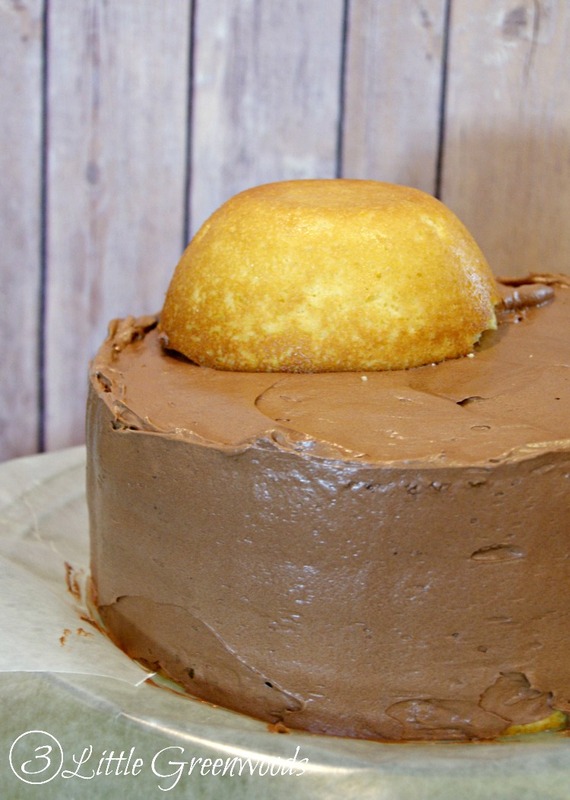 Begin by following the package directions to mix up both boxed cake mixes. 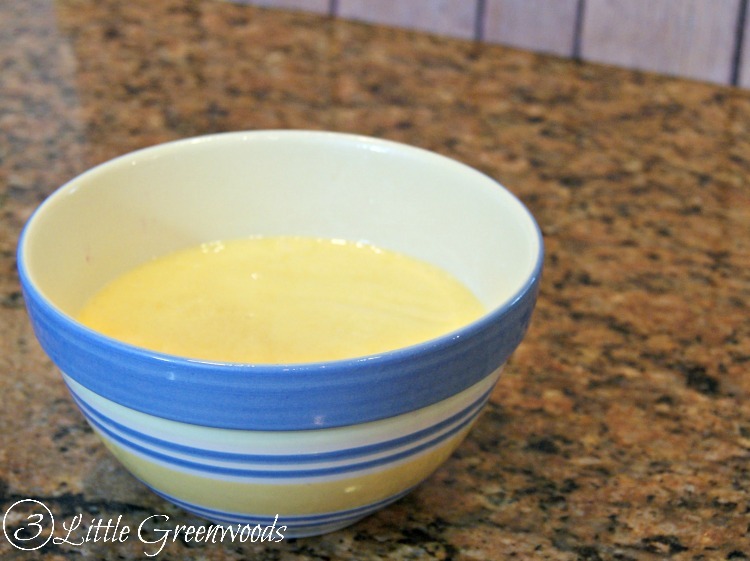 Add two cups of the cake mix to a ceramic bowl then use the remaining mix to make three 9″ cake layers. 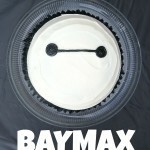 Make sure to use a nonstick spray on the bowl and cake pans. 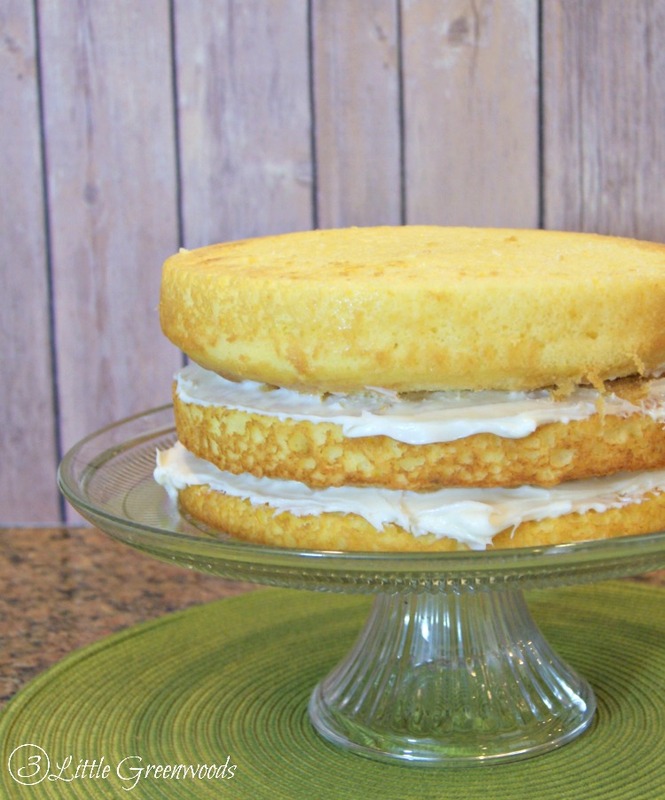 The three cake layers will make the base of the cake. The cake baked in the ceramic bowl will be the dirt bike hill. Bake the three cake layers according to recommended times. My ceramic bowl of cake mix baked for 25-30 minutes before a long wooden skewer came out clean. Stack and ice the three cake layers with the chocolate icing. Add the cake hill to the top of the iced DIY dirt bike birthday cake. 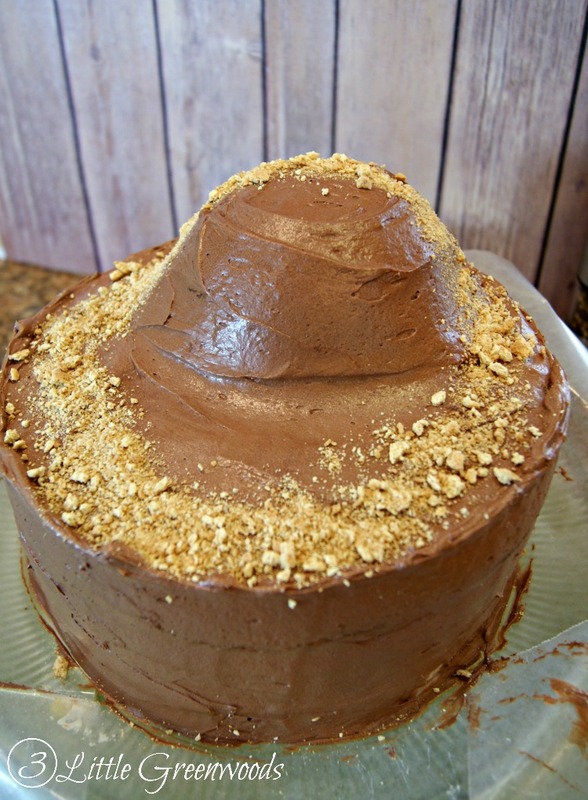 Use the rest of the chocolate icing to cover the chocolate icing to cover the hill. 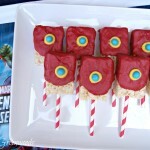 I used my favorite Offset Icing Spatula* to create a smooth coat of icing. 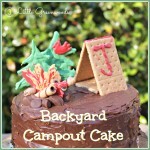 Add a crushed graham cracker dirt bike trail to the top of the cake. 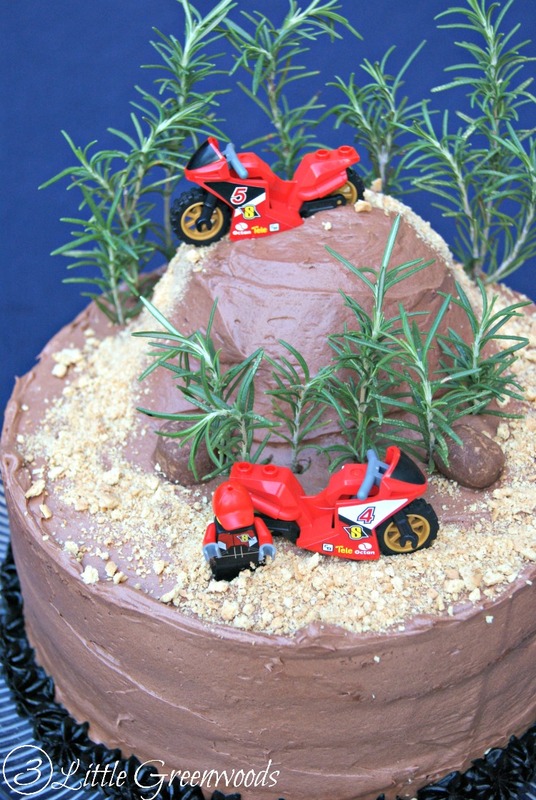 Place the dirt bikes from the LEGO Racing Bike Set* on the cake then add lots of rosemary twig trees around the trail. Since his favorite dirt bike trail is through lots of woods I knew our son would love the “trees”. 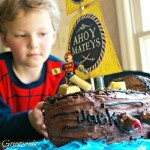 Since I’m the creator of my children’s DIY birthday cakes I always make a big deal about the presentation. To say our son’s whole face lit up when he saw his dirt cake birthday cake for the first time would be an understatement. He loved having his own cake that expressed his personality and his love of his dirt bike! The little red dirt bikes on top of his DIY dirt bike cake make my heart happy. They remind me of when he was a chubby, curly haired toddler pushing his motorcycle around the yard. I realize there are only a few short years left before he is off college so making memories of his birthday is important. 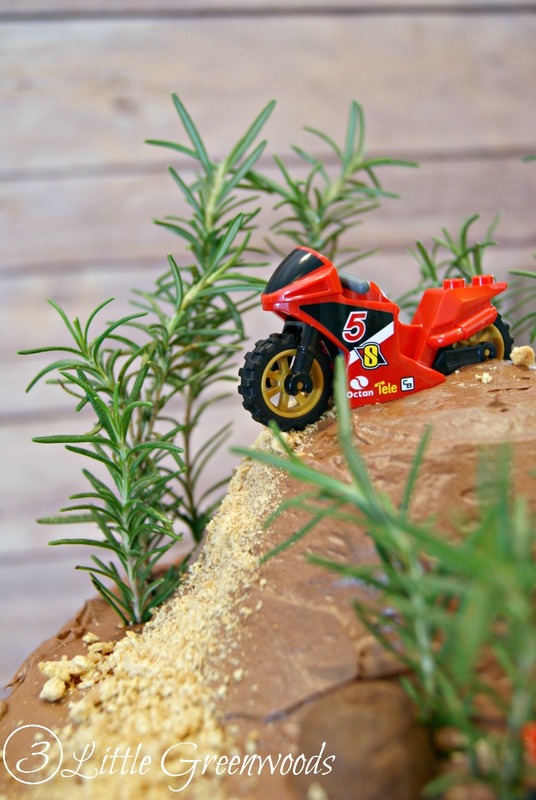 Dirt bike birthday party ideas like this DIY Dirt Bike Birthday Cake is a wonderful way to celebrate the racing lover in your family. 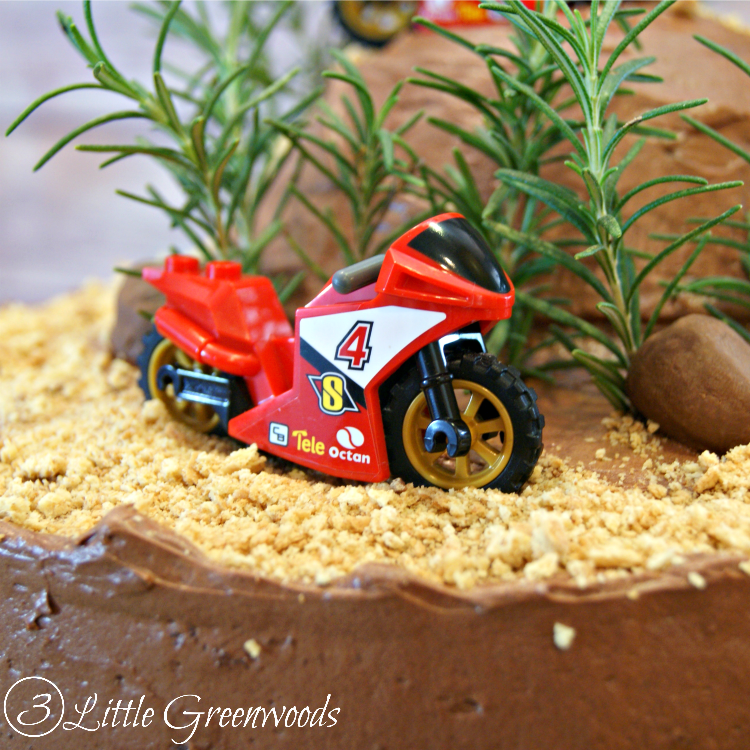 Simple ingredients, a few sprigs of rosemary, and a couple of small dirt bikes is all you need to create this super fun diy birthday cake! I love it! Your son had to be so excited! 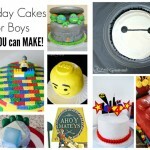 I love making cakes for my kids’ birthdays! Aw it’s so cute, Ashley! And now I really really want a slice of cake…which is terrible since I JUST finished my workout 5 minutes ago. Darn you, chocolate! Oh my gosh, that is so cute and creative. 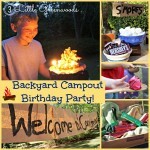 I’ve just got to try this for Tyler’s Birthday. He’ll think I’m awesome, lol. YAY! If you make one please post a picture of my FB page. I would love to see it! Thank you so much, Maria! He loved his birthday cake! What little boy wouldn’t love that dirt bike cake? I’m pretty much lacking in cake decorating skills when it goes past simply frosting the cake, but you made this spectacular cake look easy. And it’s adorable! !